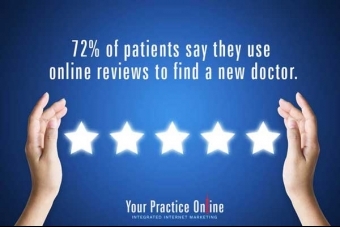 There’s no doubt that patients are using online reviews as part of their decision-making process. There are several things you can do to increase the number of online reviews. If you happen to get a negative review, it’s even more important to offset it with positive ones. Also reference our blog on how to fix negative reviews for strategies on how to portray a positive online reputation. Your SEO (Search Engine Optimization) can also benefit from having reviews online. Online reviews are favored by search engines - this means that reviews often show up at the top of the search results for a practice’s name. Online reviews can be a powerful tool for acquiring new patients. Make sure you claim your practice name on the various review sites to best promote your practice. Be aware that there may be fake reviews out there generated by bots (software application that runs automated tasks over the Internet). It’s up to you to confirm actual patients provide reviews. Managing your online reputation can help put you in control – it can be an effective way to build a positive online presence. Your Practice Online can help you manage your online brand. Check out our reputation management services or call us today at (877) 388-8569.